I would like to share my recipe for hand cream. And when I say my recipe, I actually mean to say Lynden House Recipe It's pretty simple and makes for a great cream. Just add more water and you have body lotion. Place first 5 ingredients in a double boiler. Stir until crystals are dissolved and becomes transparent. If any of the crystals are not dissolved, you will have little particles in the cream once it is made that you cannot get rid of. If particles appear on your spoon, wipe it off with a paper towel before using to stir the mixture again. Mixture may appear "gummy". Remove from heat. Then add water, fragrance, dye, vitamin E and mix well. Allow to cool slightly. Beat with an electric mixer until light and fluffy. Pour into containers. Avoid contact with eye area when using. 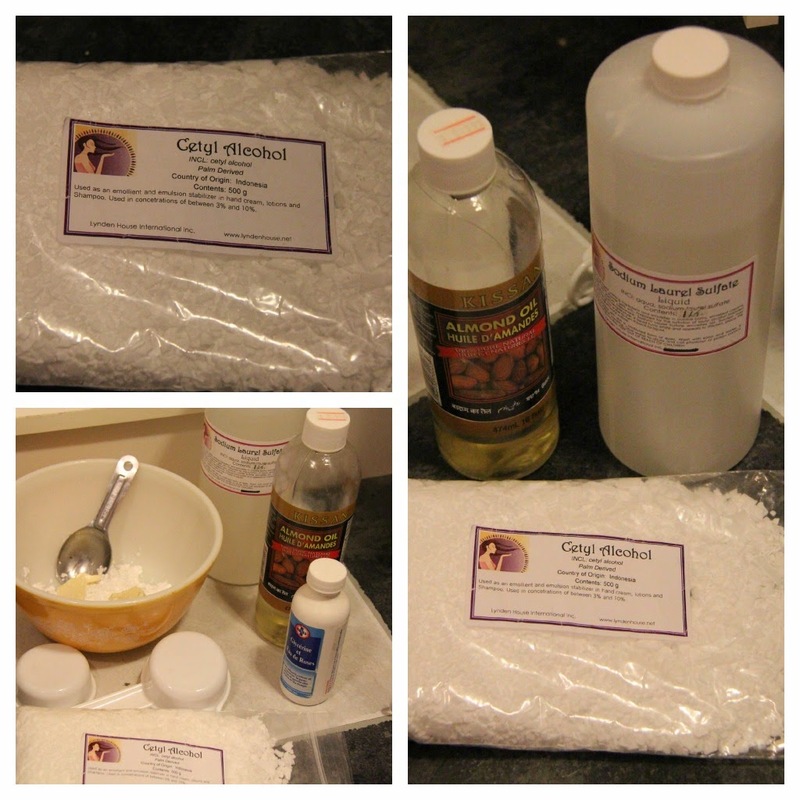 I actually changed this up as I didn't have any stearic acid on hand, so I added 1/8 cup of cocoa butter instead. I added the liquid Germall as I am not sure how long it will sit. In the past, I have added 1/8th of a cup vodka instead and it seemed just fine. If I plan on using it up in a few weeks, I skip all of the preservatives. Remember, you are putting this stuff on your skin. Plus, you can just put the vodka in a glass with some mix and enjoy! Cheers. I made this in the microwave instead of a double boiler! I melted the SLS, cetyl alcohol, almond oil, glycerine, and cocoa butter in a glass bowl for 1 minute. It was stirred and put back in microwave for 30 more seconds. You may have to adjust your time according to the power of your microwave. I put melted liquid into a mixing bowl. Added water and mixed. 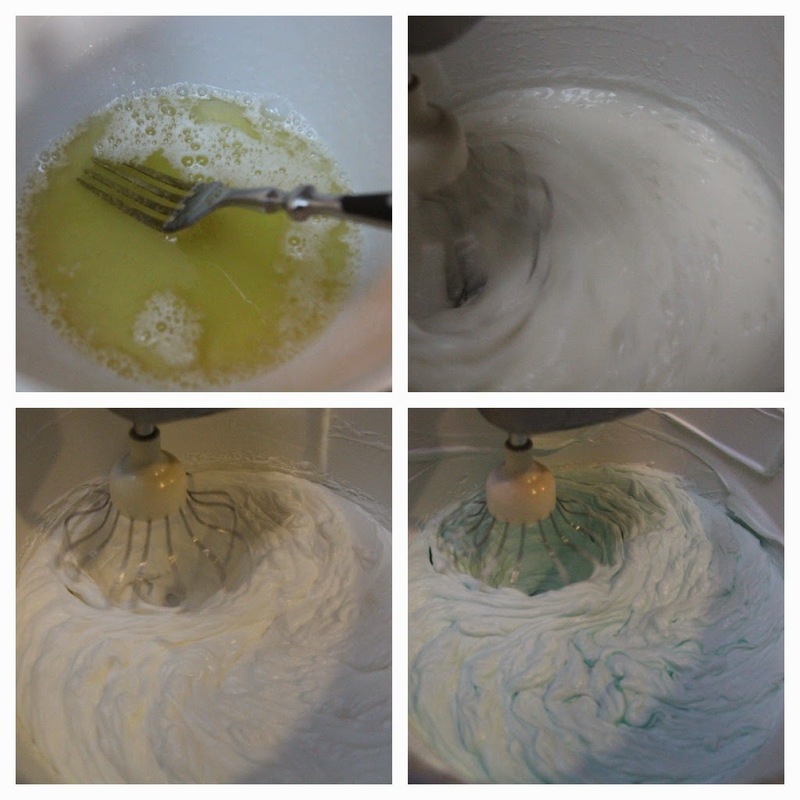 The cream gets thicker the longer it is mixed. After a few minutes, I added the coloring and fragrance oil. I didn't have any vitamin E oil so I skipped it. I found containers online a few years ago HERE. Made a few bags using tulle that I had in my stash.. Sewed the sides and tied with a ribbon. For the body lotion, use more warm water. The recipe that Lynden House provides, uses 4 cups of warm water. For Americans, I would definitely use The Chemistry Store. Makes great Christmas gifts! Last year I made gift baskets which included my homemade soap. I wondered how that was done! Very cool! I'd like to try that sometime...looks so creamy in the blender!! I LOVE this recipe. I've always wanted to try to make some of my own lotion. I'm following along on GFC so don't miss any of your awesome inspirations. I'd love for you to stop by and visit sometime. Have a wonderful weekend! What a great idea! Fantastic for handmade gifts. UPS is a bit ridiculous! 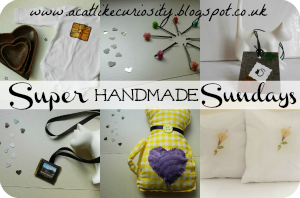 These are great handmade gift ideas! Body Butter is great to keep on hand for all-day use. I keep a pump of it in the bathroom and use it all the time, especially after washing my hands.BODY LOTION increases brightness of the skin.